For sale now! 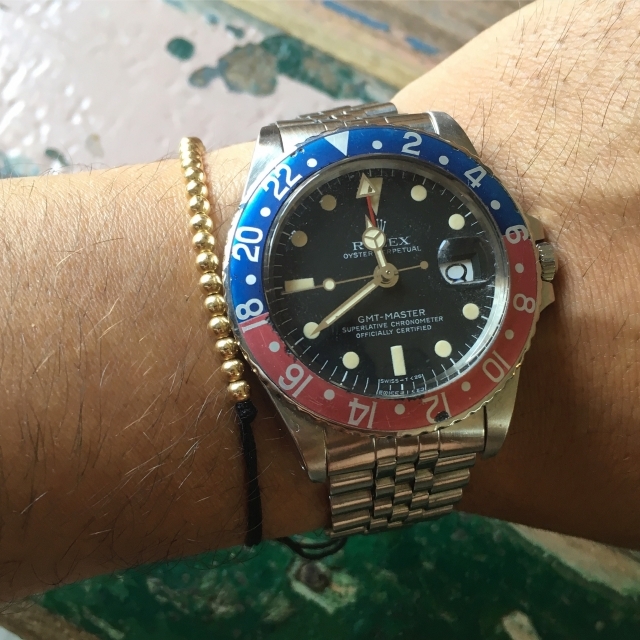 beautiful patina on the dial and hands! 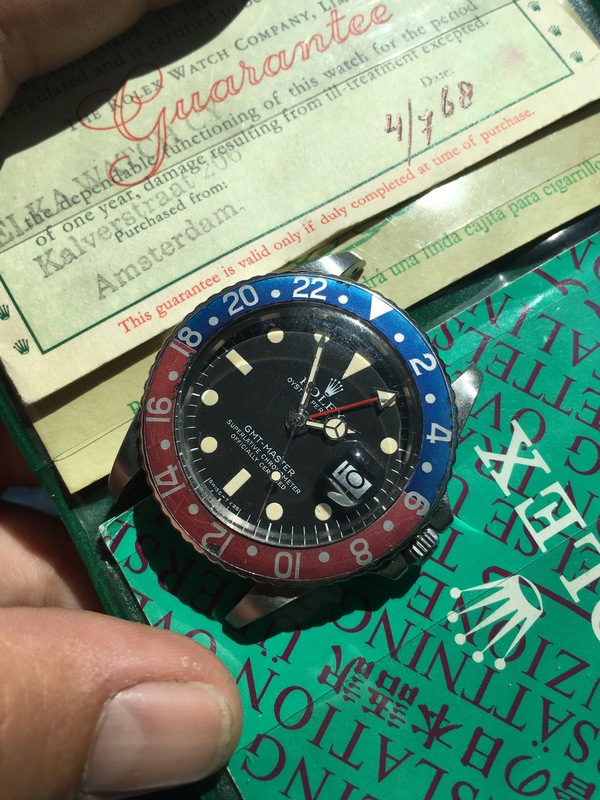 1968 Rolex gmt, a beautiful example dated 1968. It comes together with its booklet and box from the 1960’s. 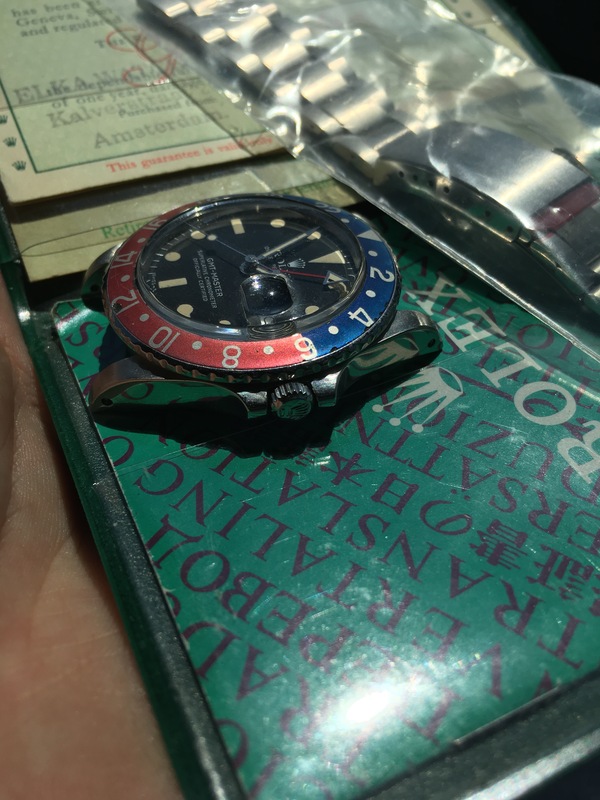 This particular example has been serviced in the past at the Rolex service centre, at this early service in the 1980’s the case, caseback and dial have been changed during service. 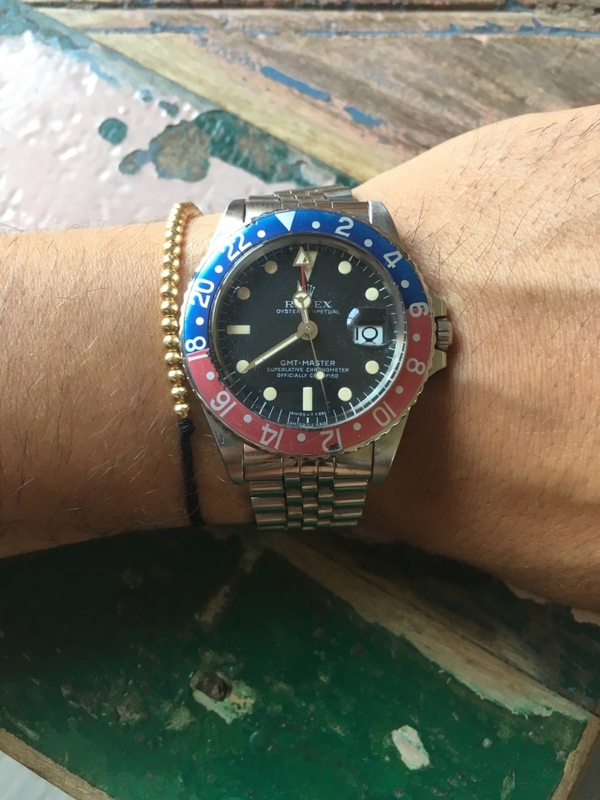 The watch comes with an ‘old style’ jubilee bracelet and on request we can deliver it with a ‘NOS’ 7836 folded bracelet with 280 end links. 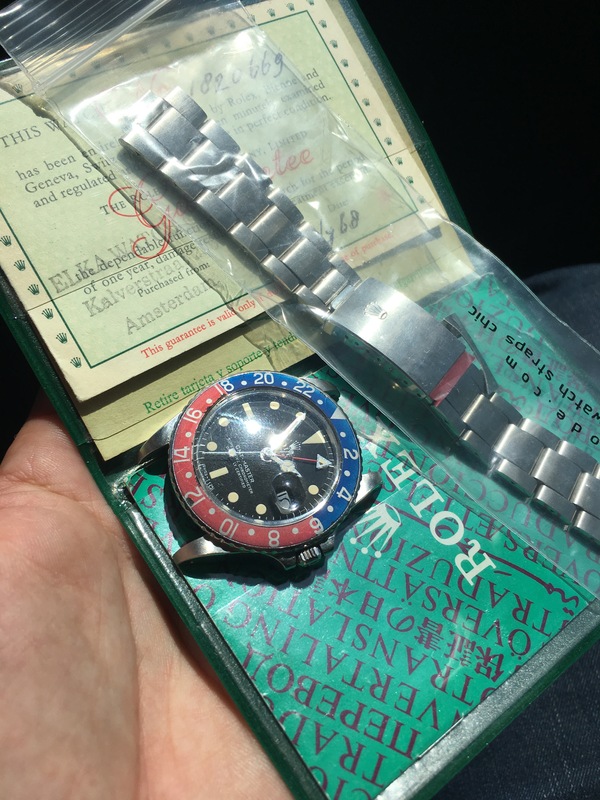 Please don’t hesitate to contact us for any information or questions about this vintage GMT master 1675. 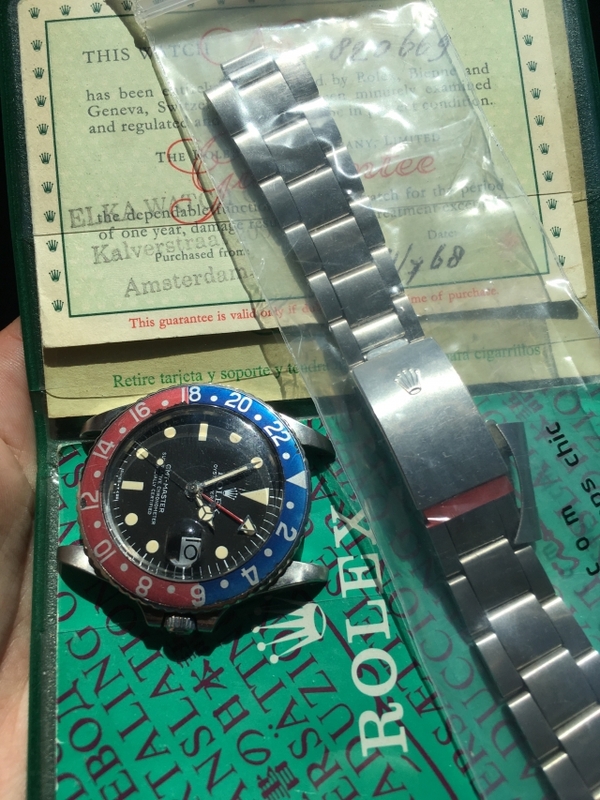 Of course we trade in you vintage watch and will listen to any serious offers. For more information about our collection please contact us directly by mail or call. Vintage Times Amsterdam is a young watch company, located in the centre of Amsterdam. We sell high-end vintage watches from brands as; Omega, Rolex, Vacheron, Longines and more. We ship worldwide by Fed-ex. Also we welcome you to visit us at our office in the centre of Amsterdam. Please mail or call us to make an appointment.